An exhibit at New York City's Morrison Hotel Gallery is unearthing forgotten rock photos. 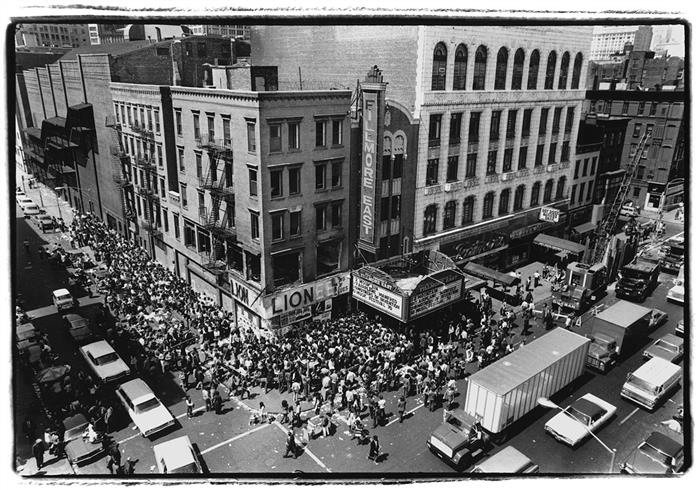 And it's also paying homage to two of the city's major historical music venues: the Fillmore East, and the Academy of Music. In the late '60s and early '70s, those venues hosted some of the biggest names in rock and roll. And they were the primary sources of inspiration for young photographers Bill Green and Amalie Rothschild. Green was fourteen at the time, and took pictures of acts including Kiss and The Who. He said those concerts, which he attended from 1972 to 1975, were formative experiences. "These places were filled with people who were pretty convinced that they were changing the world," Green said. "So the whole environment was chaotic, rough loud, and completely liberating." But afterwards, both Green and Rothschild's photos were packed away and forgotten for years. Rothschild said showing them now has brought back a lot of memories. "To have them be rediscovered and to be working with them in my middle...late middle age, and to have them be supporting me now is something that I never could have anticipated," she said. The show runs in the Morrison Hotel Gallery in SoHo until June 9th.